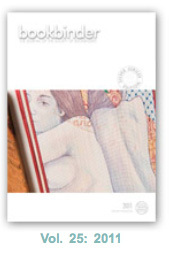 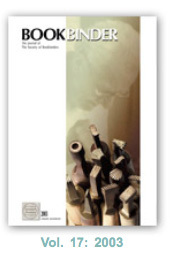 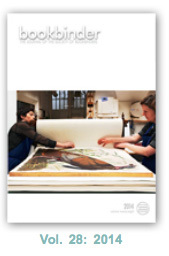 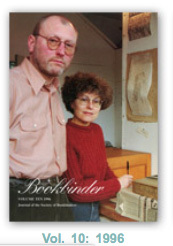 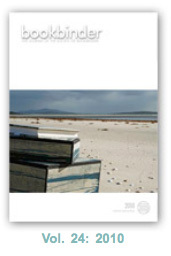 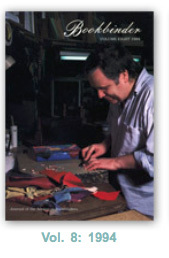 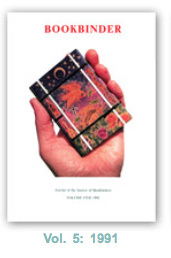 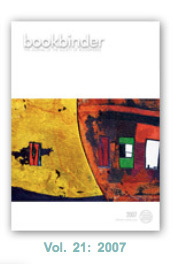 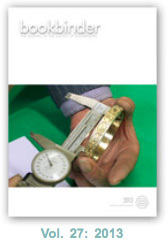 Published annually and distributed free to members, BOOKBINDER is the society’s flagship journal. 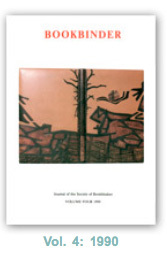 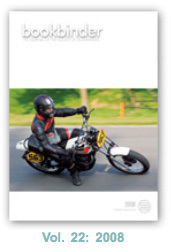 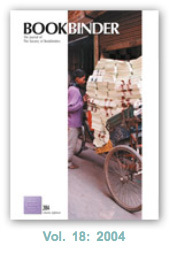 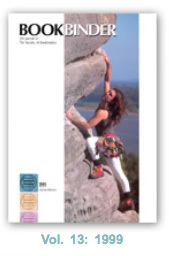 First produced in 1987, it features articles on a wide range of topics. 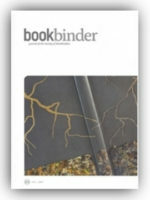 As well as the many practical, artistic and historical aspects of bookbinding, other book- and binding-related subjects are also covered. 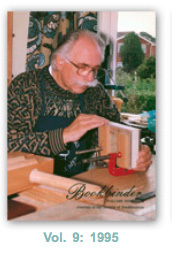 BOOKBINDER also regularly contains step-by-step, picture-based tutorials as well as contributions by – or about – some of our most renowned and respected binders. 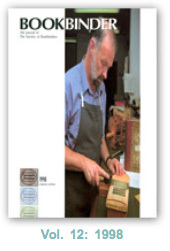 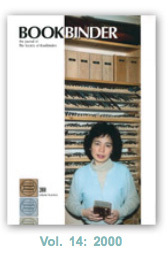 Several recent bindings by SoB members are featured in each issue and, every other year, the journal includes a comprehensive review of the society’s International Bookbinding Competition. 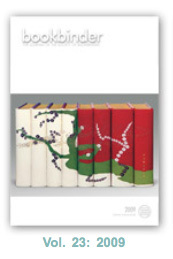 Back issues of those volumes still in print are available from the J. Hewit & Sons website. 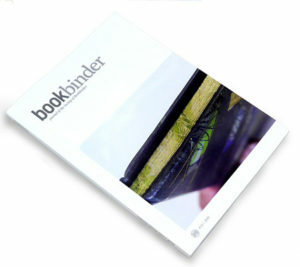 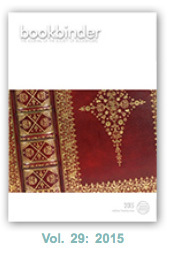 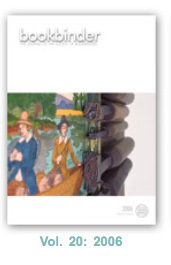 An index of volumes 1 – 30 of BOOKBINDER in PFD form can be viewed/downloaded here. 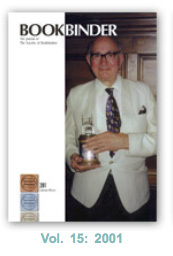 Michael Duckworth: John Leslie Coleman F.R.S.A. 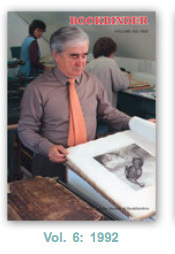 Frank Broomhead: Profile: Bernard Chester Middleton M.B.E. 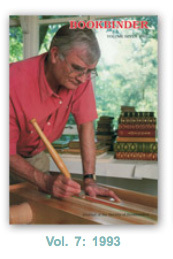 Bernard C. Middleton: Obituary: Sidney Morris Cockerell O.B.E. 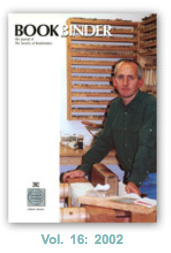 John L. Coleman: Profile: John Edward McIntyre F.S.O.B.B.R. 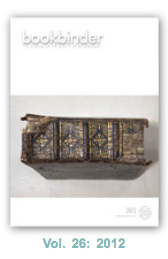 Dominic Wall: An Introduction to Parchment: just what is parchment? 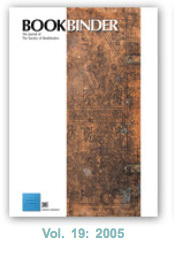 Nick Cowlishaw: The Cambridge Panel: don't throw that old toothbrush away! 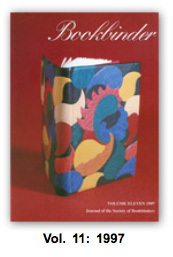 Elizabeth Neville: Aero Cotton and Aero Linen: chocks away!